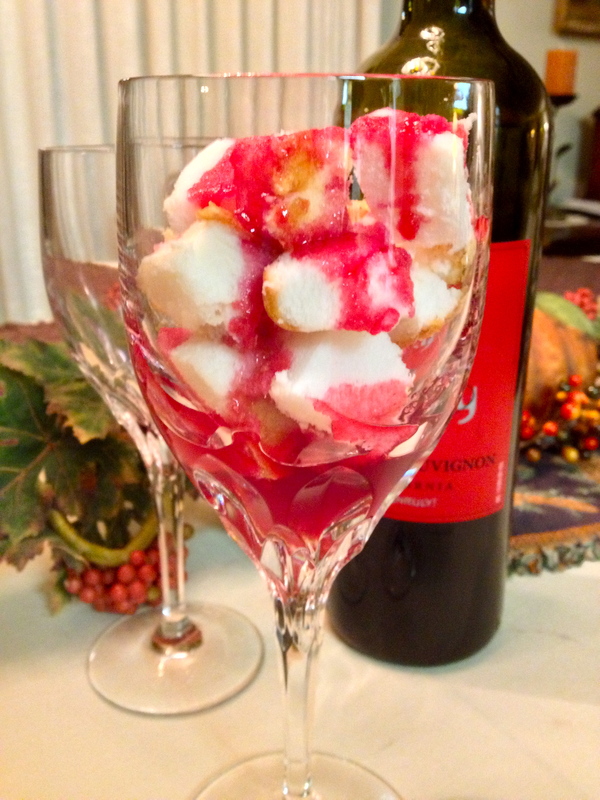 This syrup is so simple and full of festive flavor! I poured a generous amount over cubed pound cake, but it would also be great with pancakes, ice cream or even oatmeal (zest up that everyday favorite breakfast food!). 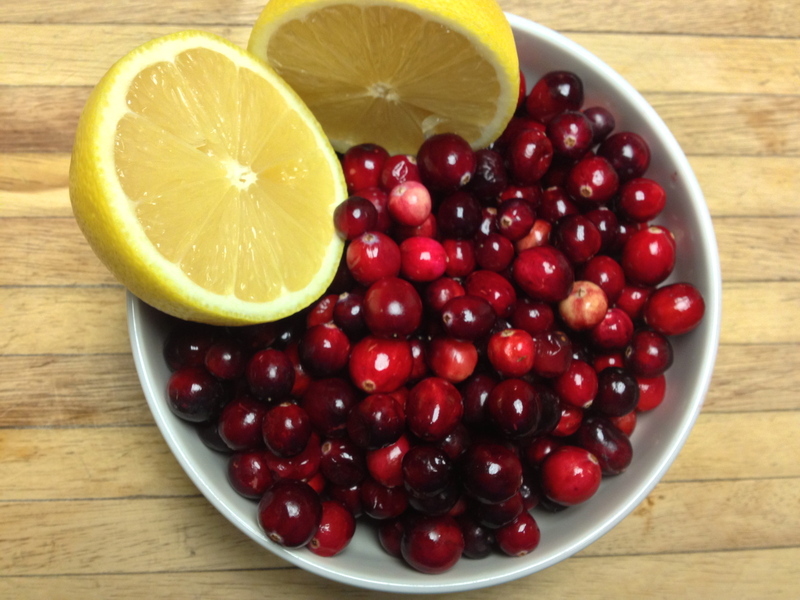 Combine cranberries, water, sugar, wine and salt in a medium saucepan. Bring to a boil, then reduce heat to simmer for about 10 minutes. 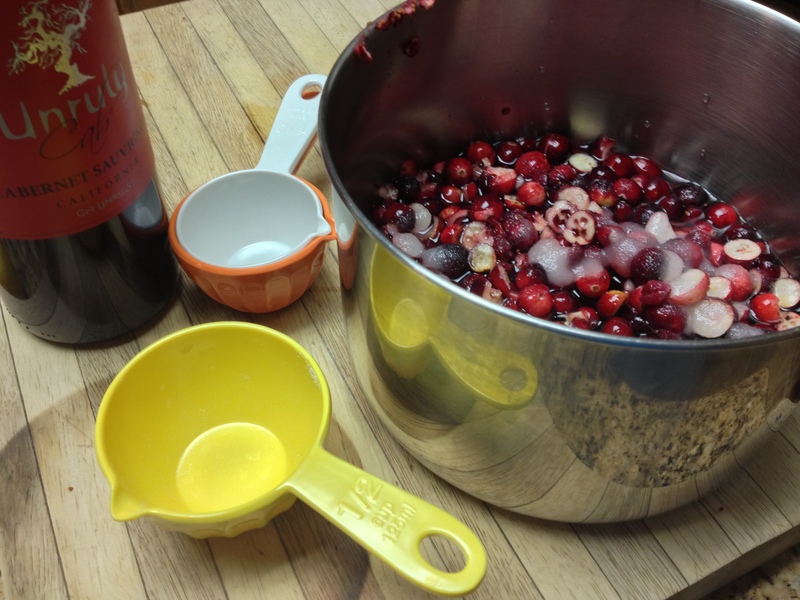 The mixture will be a deep red color. Strain the mixture through a fine sieve. I used a larger sieve and a coffee filter, but this took a while. 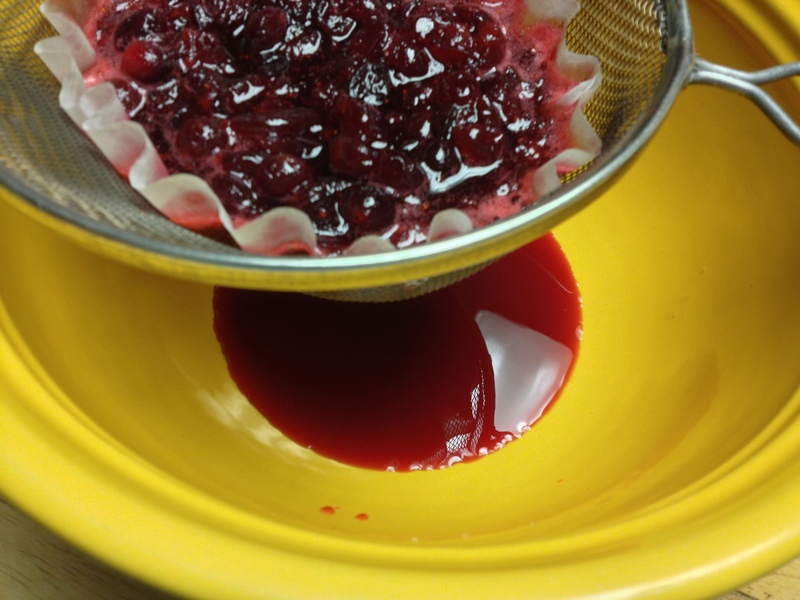 Try not to agitate the berries while they strain. Stir in the lemon juice.